In a linear potentiometer, the resistance between both terminal and the wiper varies linearly with the position of the wiper. To illustrate, one quarter of a turn on the potentiometer will result in one quarter of the total resistance. The same relationship exists when one-half or three-quarters of potentiometer movement. Figure 10-62 schematically depicts this. Resistance varies in a nonlinear manner in the case of the tapered potentiometer. Figure 10-63 illustrates this. Keep in mind that one-half of full potentiometer travel doesn’t necessarily correspond to one-half the total resistance of the potentiometer. 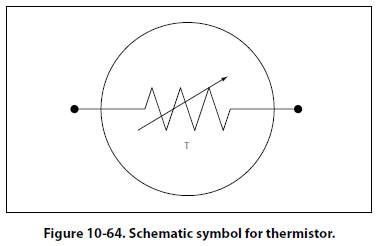 Figure 10-64 shows the schematic symbol for the thermistor. The thermistor is a type of a variable resistor, which is temperature sensitive. This component has what is known as a negative temperature coefficient, which means that as the sensed temperature increases, the resistance of the thermistor decreases. The photoconductive cell is similar to the thermistor. Like the thermistor, it has a negative temperature coefficient. Unlike the thermistor, the resistance is controlled by light intensity. This kind of component can be found in radio control heads where the intensity of the ambient light is sensed through the photoconductive cell resulting in the backlighting of the control heads to adjust to the cockpit lighting conditions. 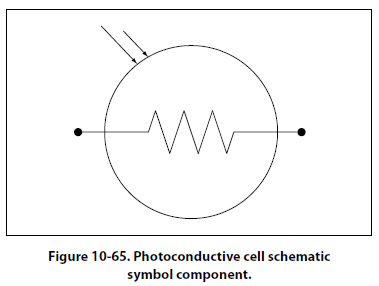 Figure 10-65 shows the schematic symbol component.